The Creative Arts K-6 syllabus provides information about teaching and learning for visual arts, music, drama and dance. The syllabus provides opportunities for students to learn to work with and about these art forms, as well as develop knowledge, skills and understanding and their development of values about the art forms. Develop visual expression and communication by using a range of materials and techniques. Increase sensory awareness and imagination by looking, seeing and manipulating. Encourage the ability to think and act creatively. Provide experiences of art forms throughout history. Provide an integrated approach to Visual Arts where appropriate. 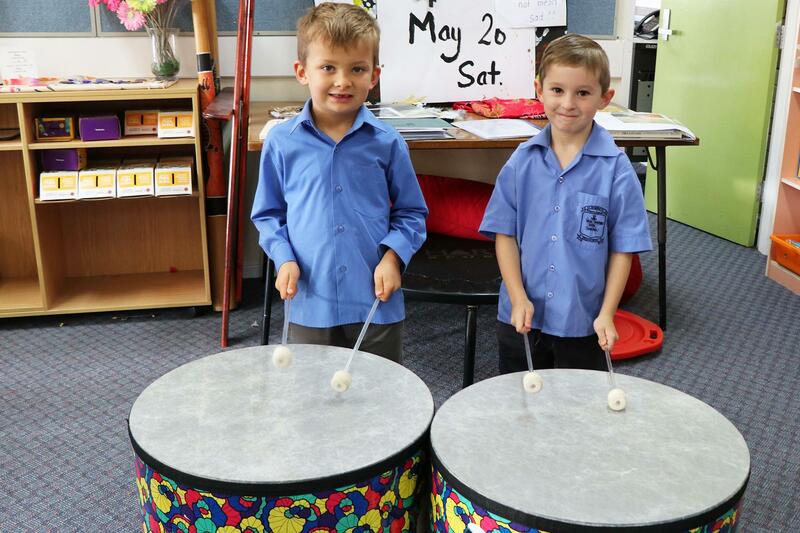 Class teachers follow the NSW syllabus for Creative Arts for planning, teaching and assessing units of work. Ongoing teacher in-service is encouraged and supported to enhance teaching. Additional opportunities are provided to students through a specialised music teacher for 50-minute lessons once per fortnight. Members of the ASPIRE team are invited to assist with the teaching of Drama and Dance. Click here to download our Creative Arts Policy.